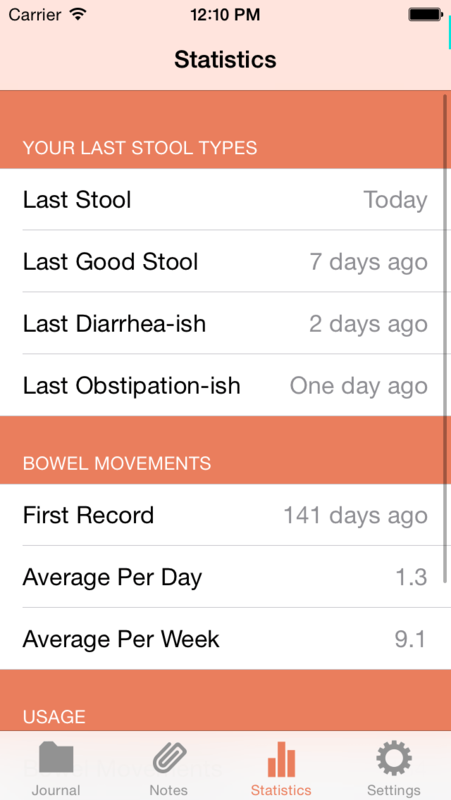 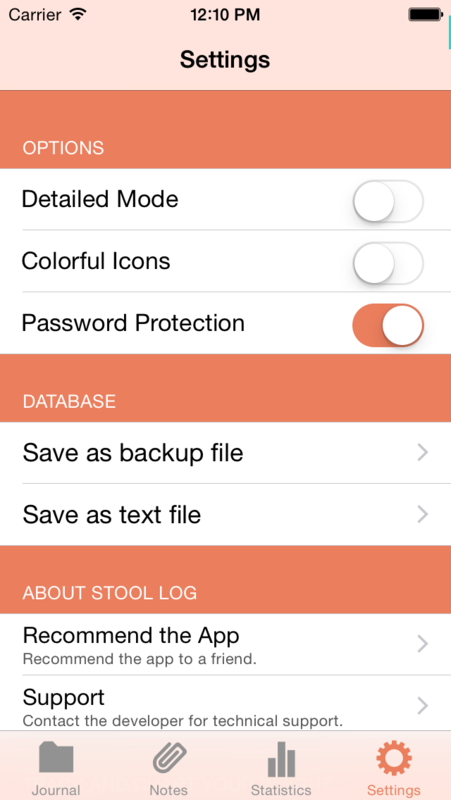 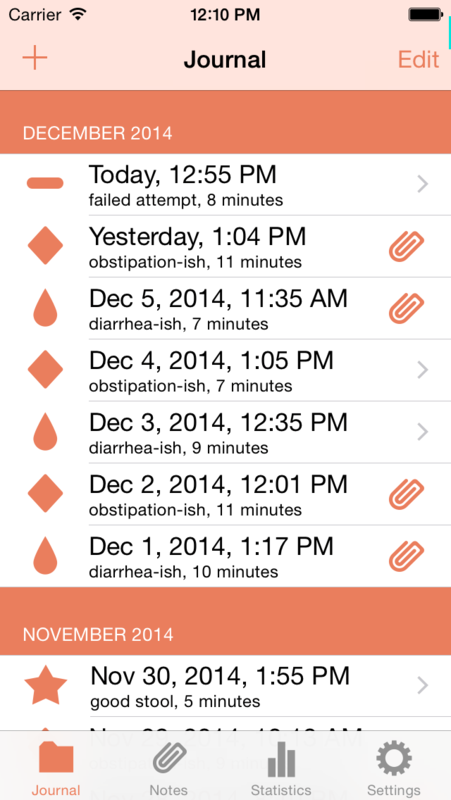 This app makes it very easy to log your bowel movements. 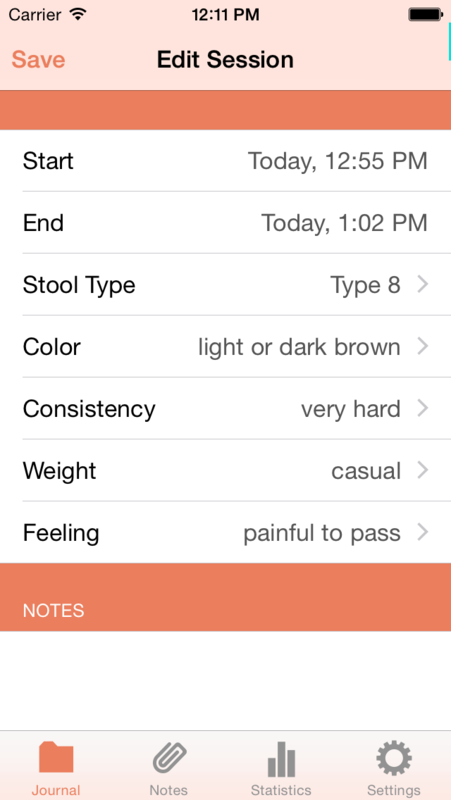 You can classify your stool with help of the bristol stool scale and it will calculate a lot of interesting statistics for you. 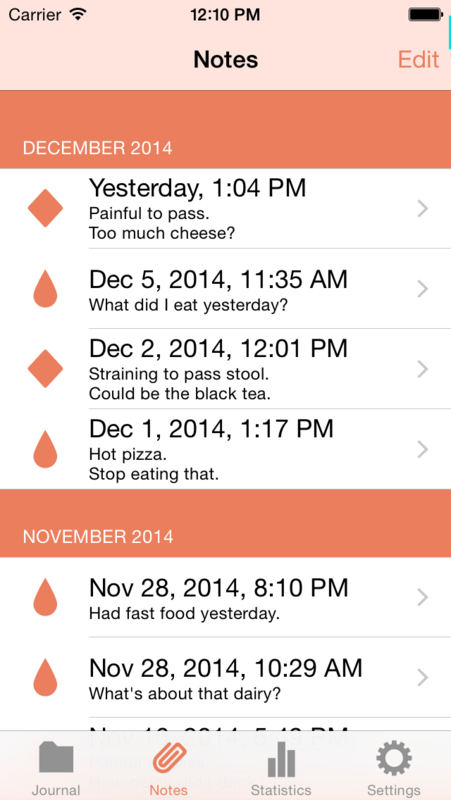 You can add some notes to the current session in both modes.